A slab serif style for Young Boys Bern. 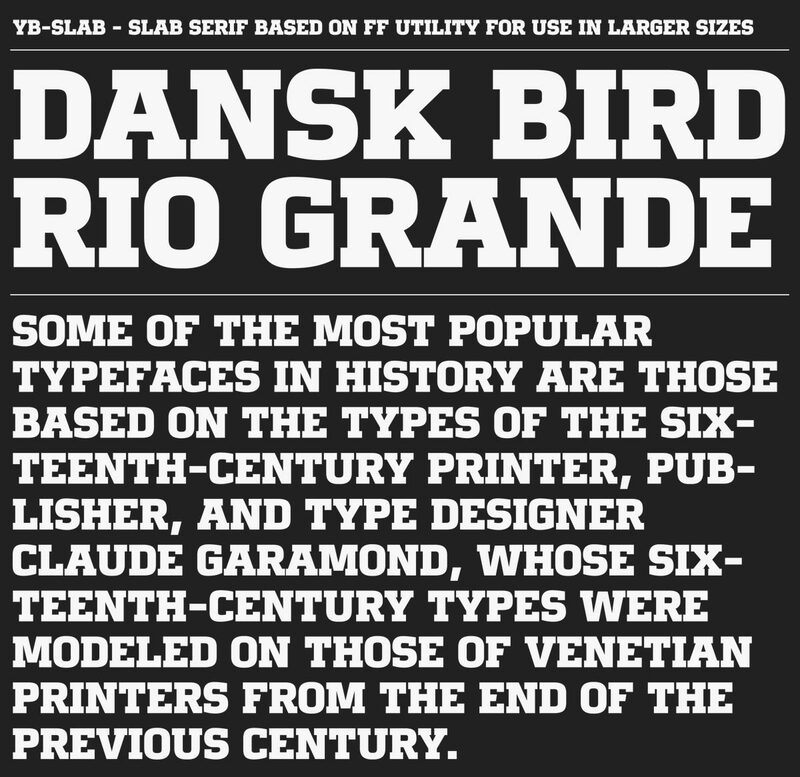 This typeface is a custom version of FF Utility, designed by Lukas Schneider. The original design grew out of Lukas Schneider’s graduate thesis project, a small family of typefaces named Gazoline in 2003, whilst he was studying at the Hochschule fuer Gestaltung (HfG) Offenbach in Germany. The family, which was first published by FontFont in 2008, was extended in 2014 and includes seven weights from thin through to black. FF Utility. It was especially designed for the swiss soccer club BSC Young Boys Bern.